Competition Archives · Stop the Cap! 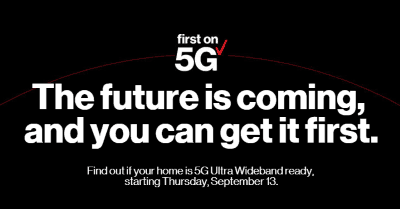 The road to 5G wireless home broadband is paved with good intentions and a lot of hype, but at least one Wall Street analyst hints Verizon’s millimeter wave 5G project may be a bad idea, unable to achieve a proper return on investment and potentially a worse performer than originally thought. Craig Moffett, a key analyst at MoffettNathanson, has analyzed and commented on the telecommunications industry at least as far back as the 1990s. He slammed cable operators for overpriced upgrades in the 1990s, talked down AT&T’s U-verse project, and spent years telling the media and investors that Verizon FiOS — a fiber to the home project, was an expensive failure. 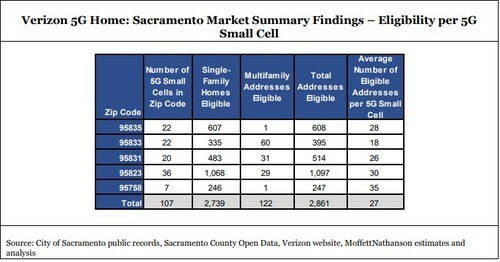 Moffett’s latest research examines Verizon’s six-month old 5G millimeter wave wireless network in Sacramento, Calif., which relies on a large number of small cells to provide a $50 wireless home broadband replacement. But after taking a closer look at the technology, its performance, and costs, Moffett has warned investors Verizon has a “steep climb” to convince Wall Street it can attract enough revenue from paying customers to justify the tens of billions in new spending required to roll out small cell technology across the country. In this series, we will look at how Wall Street’s view of the telecom industry is often focused on short term profits at the expense of long term growth and customer satisfaction. The telecom industry analyst presents detailed analyses tracking industry developments, mergers and acquisitions, technology shifts, competition, regulation, expenses, and shifting consumer behavior into reports for investment banks, institutional investors, or in some cases individual investors looking for both hard numbers and perspective on what is going on in the industry. The metrics analysts use to describe success or failure are typically different from what customers use, and many analysts don’t spend much time focused on technical trivia, public policy goals, and ways of overcoming problems for which there are no obvious market solutions, such as rural community broadband. 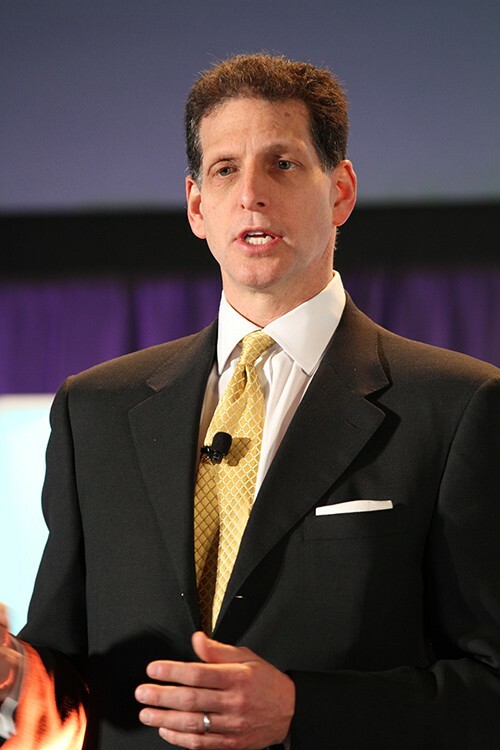 Some analysts are particularly friendly and non-confrontational with executives, who know and recognize them by their first name, while others are more willing to challenge company press releases and policies and can eventually develop an adversarial relationship with at least some of the companies they cover. The analyst’s reputation for getting the correct analyses to clients means everything. Good research and advice does not come cheap, and subscription fees can be breathtakingly high. Many Wall Street analysts also make frequent appearances in the media, often on business cable news channels and newspapers. 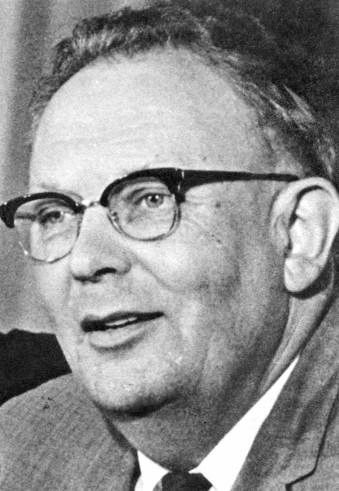 Moffett is one of the most frequently-quoted telecom analysts, known for his favorable coverage of the cable industry and skepticism towards telephone companies attempting to reinvent themselves. 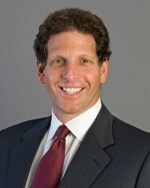 He has advocated for the adoption of usage caps and usage-based billing to further monetize broadband, but has not been as aggressive as others, such as Jonathan Chaplin, a Wall Street analyst with New Street Research, who has frequently called on the cable industry to aggressively raise broadband prices to $90 a month or more. Moffett, in contrast, worried last year that Cable One, an operator specializing in serving small and medium sized cities, was pricing its service far too high, driving off potential customers. Most of the nation’s cable television systems were built in the 1970s and 1980s and were primarily dependent on copper-based coaxial cable. By the 1990s, many cable operators embarked on system wide “rebuilds” to prepare for the era of digital cable television. It was during this decade that most cable systems moved beyond 50-70 analog TV channels and also began offering new services, including home phone, broadband, home security, and large on-demand video libraries. To support these new services and to increase the reliability of cable systems, operators began replacing some of the coaxial cable in their networks with more reliable fiber optics. Investments in these upgrades were significant, but to the cable industry not extravagant. A loud chorus from Wall Street disagreed, complaining cable systems were overspending on upgrades. Moffett, an analyst for Sanford Bernstein at the time, complained the cable industry collectively wasted $100 billion on network upgrades. But like many Wall Street analysts who complain about almost any significant investment or spending, once a company has gone ahead and spent the money, analysts start looking at how those companies are monetizing those upgrades to recover the investment, boost revenue, and maximize shareholder value. Moffett flipped on a dime from being a critic of cable’s spending to commenting on how well the cable industry was now positioned to lead the telecom industry. The cable industry’s hybrid fiber-coax (HFC) systems upgraded in the 1990s are still partly in wide use today. Cable operators are using incremental technology upgrades to squeeze more performance out of these systems, notably by retiring space-hogging analog cable television in favor of digital. That analog to digital video conversion, along with regular updates to the cable broadband technical standard, known as DOCSIS, has allowed most cable operators to claim they do not need to upgrade to an all fiber network to support the services offered today, which includes hundreds of TV channels and gigabit speed downloads. Altice USA, which operates Cablevision in suburban New York City, is among a few operators claiming it was time to discard HFC technology in favor of fiber to the home (FTTH) service. Altice argues fiber further increases available bandwidth and is much more reliable, reducing costs. So far, other major operators like Comcast, Charter, and Cox are still taking a more incremental approach towards fiber, in part to keep costs down. The upgrade spending that Wall Street complained about in the 1990s ultimately paid off handsomely for the cable industry. Moffett himself only occasionally criticizes cable operators these days, preferring to target most of his negative coverage on phone companies. In fact, in an interview in 2008, Moffett called effectively called phone companies obsolete. “In 1996, as soon as you saw that the technology existed for a cable network with vastly higher capacity and vastly lower margin cost to be able to do voice calls over the same network, you would have said the end game is obvious: Cable will win and the telcos will go into bankruptcy. The only question is how long it will take,” Moffett said. Moffett praised Qwest for doing and spending nothing to confront copper wire obsolescence. That advice was simply not acceptable to the top executives at two of the biggest phone companies in the country. Both rejected Moffett’s philosophy of living with the technology they had instead of putting investors through the agony of spending money to completely overhaul the existing copper wire phone network. For Moffett, that was throwing good money after bad, and it was too late to try. Large phone companies saw the same writing on the wall about landline telephone service Moffett did back in the 1990s. 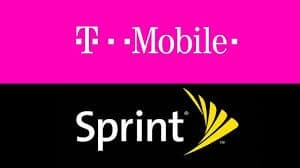 Their emerging wireless mobile businesses were cannibalizing in-home landlines and the introduction of the cable industry’s “digital phone” Voice over IP product, often bundled with a range of calling features and a nationwide long distance plan, quickly began eroding the revenue phone companies earned from per-call charges, calling features like Caller ID, and long distance revenue. AT&T and Verizon had a problem. Telephone networks were designed and built to handle voice-grade phone calls, not broadband or television. Repurposing the traditional landline to support a popular package of phone, internet, and television service was complex and costly. DSL had already emerged as the phone company’s best effort to compete with cable broadband over the traditional copper phone wire network. Phone companies experimented with competing television service, sending one channel at a time down a customer’s phone line. When a customer changed channels, one streaming channel stopped and another began. It did not always prove to be very reliable or dependable, because performance degraded significantly the farther the customer lived from the phone company’s switching office. Something better was needed, and it was going to cost billions. 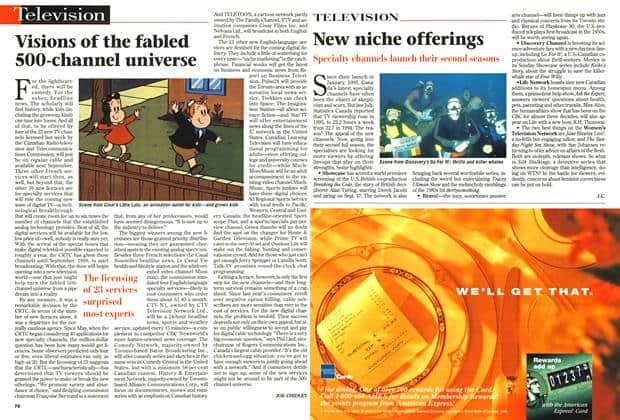 The 1992 Cable Act, which guaranteed competing video providers could offer popular cable networks on fair and competitive terms, was crucial to laying the groundwork for a reimagined local phone company. Telephone company executives began approaching state and local officials with proposals to replace existing phone networks with newer fiber technology that could support voice and video, giving local cable monopolies long-awaited competition. The sticking point was money. Some large phone companies sought regulator approval to raise telephone rates to create a fiber fund that would be used to cover some of the costs of scrapping copper wire networks and replace them with fiber optics. The cable industry understood the threat and immediately launched a fierce lobbying campaign to block attempts to bill captive phone ratepayers for the cost of fiber upgrades. The phone companies were largely unsuccessful winning approval to cross-subsidize their fiber future, but some companies did make deals with state regulators to approve rate increases with the promise the extra revenue would fund future fiber upgrades. Critics contend AT&T and Verizon’s wireless mobile networks ended up the biggest beneficiaries of the revenue raked in from rate increases, with some accusing companies like Verizon of shifting money away from landline service to help pay for the construction of their growing wireless businesses. With billions spent on cell tower construction and network buildout costs, there was not much money left for fiber to the home upgrades. The cost to wire each home for fiber was also a concern, as were regulatory requirements surrounding universal service, which meant phone companies might have to serve any customer seeking service, while cable companies were allowed to skip serving rural America altogether. It would take until 2004 for phone companies to begin major upgrades. At the same time, deregulation was once again stirring up the marketplace, triggering a gradual re-consolidation of the old Bell System, coalescing primarily around AT&T (SBC, Ameritech, BellSouth, and Pacific Telesis) and Verizon (Bell Atlantic, NYNEX, independent telephone company GTE, and former long distance carrier MCI). Both AT&T and Verizon were exploring fiber upgrades. Project Lightspeed was developed by SBC in 2004 and later renamed AT&T U-verse in time for its commercial launch in 2006. AT&T chose a fiber to the neighborhood approach, leaving intact existing copper phone wiring already in place in neighborhoods and homes. U-verse was capable (at the time) of delivering just over 20 Mbps internet service while customers also watched TV, and/or made a phone call. The advantage of U-verse was that it was cheaper to deploy across AT&T’s more sprawling local telephone territories than fiber all the way to each customer’s home. Verizon, which serves a number of densely populated cities in the northeast and mid-Atlantic region, believed a fiber to the home upgrade would future proof their network and deliver better, more reliable service than U-verse. 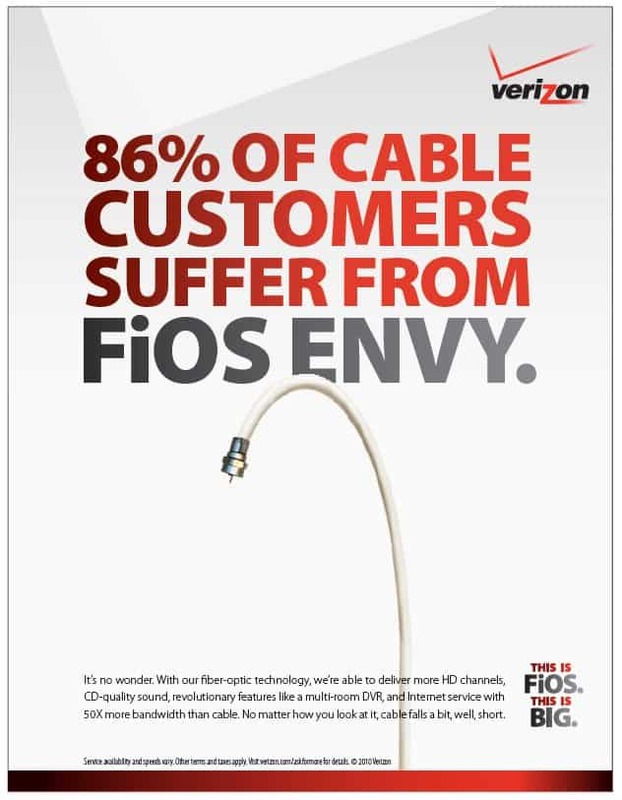 Verizon FiOS launched in September 2005 and completely did away with existing copper phone wiring in favor of optical cable. Verizon argued that although it was more expensive, a complete fiber upgrade would cost the company less over time, and was essentially infinitely upgradable as customer needs changed. Verizon also argued that with scale, the cost of wiring each home or business would fall, making the technology more cost-effective. Verizon launched its FiOS business with great fanfare among customers, some who bought homes specifically because they were located in a FiOS service area. The provider successfully raises prices and accelerates payoff of outstanding debt. A project attracts new customers and prompts current customers to upgrade, generating more revenue. An upgrade can be expensed in a way that results in extra tax savings. Customer churn drops, as a more satisfied customer remains a customer. An upgrade offers new revenue opportunities not available before. A project causes a surprise increase in capital expenses, especially if those costs are higher than anticipated. An upgrade results in increased competition, or worse, a price war that forces providers to cut prices. The project cannot be paid off within ~15 years. Short term results matter. Long term results only matter to future investors. An upgrade forces competitors to also undertake upgrades. A provider is forced to choose between share buybacks and dividend payouts and spending money on upgrades and chooses the latter. Shareholders matter more. Moffett’s 2008 calculations argued that Verizon would lose $769 on each FiOS customer signing up for service. AT&T U-verse would come close to breaking even, but not generate much in the way of profit for AT&T. After determining that, he was a frequent and vocal critic of upgrade efforts, particularly in the case of FiOS. Verizon argued his calculations were wrong and that the company was pleased with the progress of its fiber buildout. But Moffett claimed vindication when Verizon shelved future FiOS expansion in 2010, leaving many cities with only a smattering of fiber service — often in a handful of wealthy suburbs and nowhere else. Verizon clearly changed direction in 2010, but probably not because of Moffett and other critics. Verizon’s CEO at the time came from Verizon Wireless, and his executive team was focused predominantly on the phone company’s wireless unit, which was earning Verizon plenty of revenue. Verizon so valued its wireless business, in 2014 it bought out its partner Vodafone’s 45% interest in Verizon Wireless in a transaction valued at approximately $130 billion. That kind of money would have wired a considerable amount of the United States with fiber to the home service. Wall Street analysts, like many investors, like to focus on the short-term picture of the companies they cover. What appears to be really bad news today may not be so bad tomorrow, and as a result their advice often changes with time. For example, Mr. Moffett spit nails over the cable industry’s “waste” of $100 billion on system rebuilds in the 1990s, but by the late 2000s he was a veritable cable stock promoter. Moffett told the New York Times it was clear cable was emerging on top in the telecom space and its competitors, including satellite and telephone companies, were dead companies walking. Cable’s success would likely not have come without the investments Moffett and other Wall Street analysts howled about. Among the phone companies, AT&T initially won more respect from investors for not overspending on its U-verse project, which was less costly than FiOS, but also less capable. U-verse avoided the cost of ripping out copper cable from backyards and the sides of homes, but also had limits on broadband speed and the number of concurrent TV channels a customer could watch. As HDTV took hold, those limits became more clear, especially to customers. 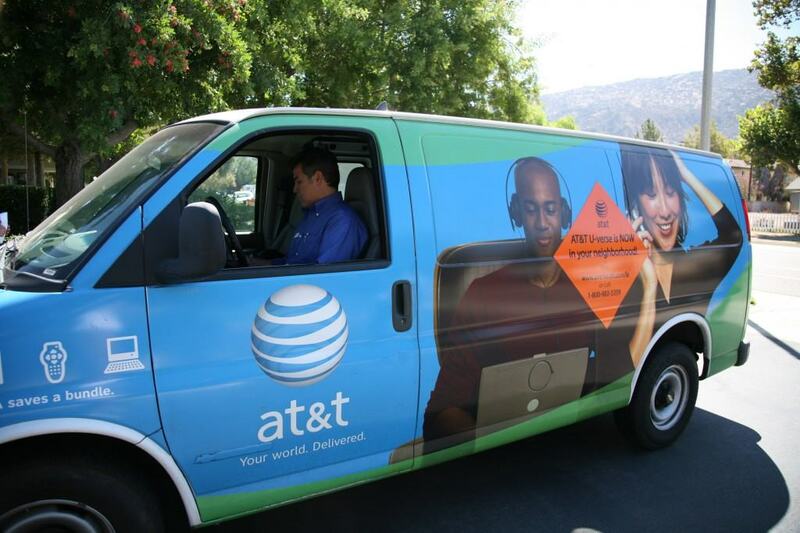 As a result, U-verse customer satisfaction was not that high. In contrast, Verizon FiOS consistently achieved top position in customer ratings year after year because it delivered more than customers expected and was ready-made for easy expansion and upgrades. Even Moffett’s views on FiOS ‘evolved’ over time. In 2013, he sent a research note to his clients admitting his views were more positive about FiOS than before. 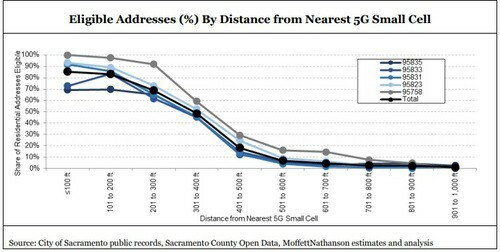 To be sure, Moffett still frequently recoils when a company reports it is planning on significant and costly upgrades, like Verizon’s millimeter wave 5G network. 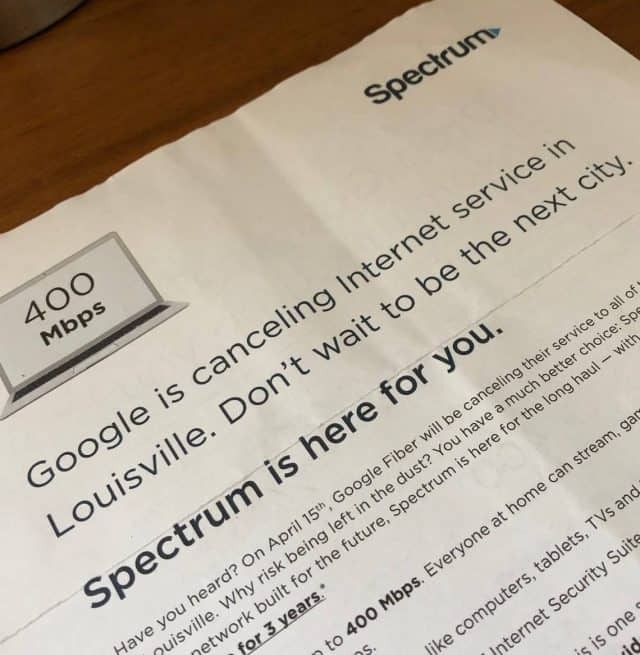 He is more tolerant of gradual upgrades, like those undertaken by Charter Spectrum to retire analog cable television and upgrade its systems to DOCSIS 3.1 technology, allowing it to sell faster internet speeds. Moffett and other analysts can present a problem for for-profit, investor-owned companies that are about to launch a disruptive product or service. Verizon’s 5G project is now facing new scrutiny, perhaps as a backlash against the excessive hype these wireless networks are enjoying in the media. The costs to deploy small cell wireless technology across the country will be staggering, and it is not a stretch to suggest some on Wall Street will champion efforts to consolidate costs by building a shared network, recommending a tough return on investment formula to determine where small cell technology will be deployed, or calling for higher prices on services. Companies like Verizon will have to be prepared to defend their business case for 5G, perhaps stronger than they did defending FiOS more than a decade ago. We’ll explore Moffett’s latest findings about the performance of Verizon’s millimeter wave 5G wireless home broadband replacement in part two.